This man’s loft. 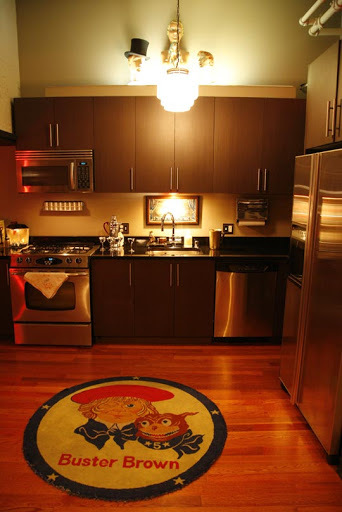 I spotted this place on apartmenttherapy.com and he has a friggin Buster Brown Rug on the floor. I of course after seeing it I made mad haste to Google to see where I could get one of my own. It would appear that I would first have to get a higher paying job because the only one I can find listed goes for $575. If you are a young pup and have no idea who Buster Brown is you better recognize! Just Google him ok…I have fond memories of going into Thompson Boland Lee (if you are too young Google that too) and seeing that rug on the floor marking where the kids shoes were. Man I just remembered Mother Goose kids shoes also. Dang I’m old.